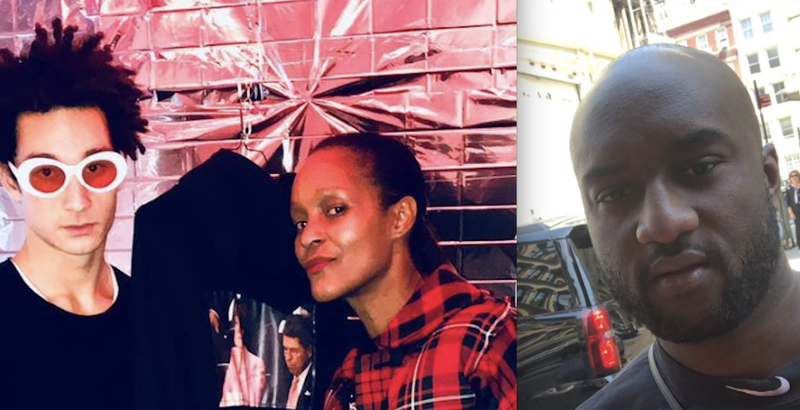 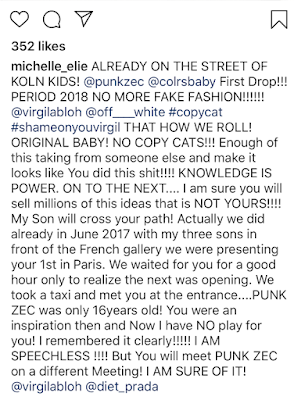 Last month fashion designer Michelle Elie dragged Louis Vuitton creative director Virgil Abloh for filth after accusing him of copying her son, Punk Zec's' streetwear designs [click here if you missed that]. In an interview with The New Yorker Virgil writes off the similarities as “basically the use of a yellow fabric with a pattern on it” adding sarcastically, “Ring the alarm!” Virgil also said he never saw Punk Zec's designs. 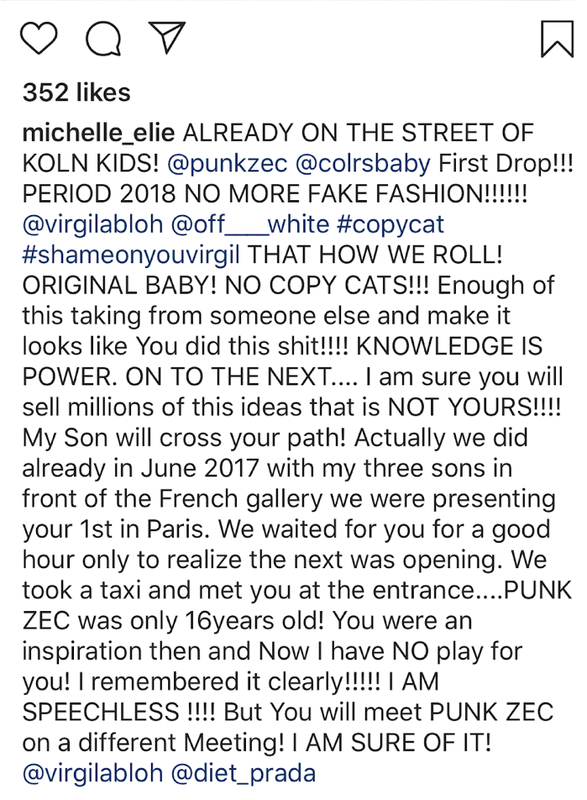 Back in January during Paris Fashion Week Michelle basically told Virgil her son would "see him in the streets."